The Facts: The Bills signed Yeldon to a two-year contract, the team announced Monday. Diehards Line:Buffalo has been active swiping veteran running backs off the free agent pile this offseason. The Bills brass previously added Frank Gore to the backfield. The trio of LeSean McCoy, Gore and Yeldon offers a diverse skill set to go along with quarterback Josh Allen's running ability. Might the addition of Gore and Yeldon this offseason lead to speculation the Bills might dangle McCoy in possible trade talks during the draft later this week? As NFL.com notes, Yeldon brings pass-catching ability to pair with McCoy and Gore. In four seasons in Jacksonville, Yeldon compiled 1,302 receiving yards on 171 catches. After a 740-yard rushing rookie season, the 25-year-old has played a complementary role -- and spot starter due to injury -- generating 1,132 yards rushing over the past three years. At this point, expect Yeldon to play a third-down role early in the season and see increased snaps if injury strikes to McCoy or Gore. The Facts: Brate had surgery to repair a torn labrum in his hip in January, but he was dealing with the injury well before he finally had it repaired. Brate said he expects to miss the team’s offseason work as he continues to rehab his hip with eyes on being cleared for training camp. Diehards Line: Brate was hurt in 2017, but doctors hoped that it would heal without surgery. Brate, who signed a six-year extension last year, opted to play through the injury and then kept playing through it because the Bucs lost tight end O.J. Howard during the season. He played in every game, but his production dropped to 30 catches and 289 yards. “Yeah, personally I wish I would have played better last year and everything like that, but I just don’t think I was able to prepare for the season the way I wanted to dealing with the injury,” Brate told PewterReport.com. “More than anything I’m just glad I was able to get it taken care of. I won’t have to deal with that moving forward. ...” Next up? Sorting out roles for both Brate and Howard under new HC Bruce Arians. Stay tuned for more on that in coming weeks. The Facts: Watson, who intended to retire after last season, is now considering a return to the NFL for a 16th season, league sources told ESPN's Adam Schefter on Saturday. atson, whose wife is due to give birth to twins next week, might be open to returning to the NFL under the right situation, the sources said. Diehards Line: The 38-year-old Watson, whose contract with the New Orleans Saints expired after the 2018 season, ranks 14th among tight ends in NFL history with 530 career receptions for 5,885 yards and 44 touchdown catches. He previously said that 2018 would be his final season in the NFL. A first-round pick of New England in 2004, the two-time finalist for the league's Walter Payton Man of the Year award has also played for the Browns and Ravens. Watson played in every game for the Saints last season, catching 35 passes for 400 yards and two touchdowns. It was his second stint with the Saints. Diehards Line:Baldwin was scheduled to see Dr. William Meyers in Philadelphia in early April to have the procedure. 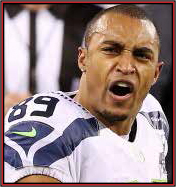 Baldwin clearly wasn’t himself last year, with just 50 catches for 618 yards and five touchdowns in 13 games. The original plan was for Baldwin to be ready by training camp, at least after the first two procedures. We'll continue watching to see how that changes based on this latest news. Diehards Line: This isn't a huge surprise. GM Thomas Dimitroff has said the sides are in talks but wouldn’t put a timeline on getting a deal done. The team adjusted his deal last year before training camp after Jones skipped the offseason program. He signed a five-year, $71.3 million extension in 2015, putting him under contract through the 2020 season. Jones recently said he doesn’t care about being the league’s highest-paid wideout, but his $14.25 million annual average currently ranks 11th at the position. The Facts: Following up on the ongoing story. ... The NFL in March sought records from police about complaints of child abuse involving Hill and his son, according to a letter a league representative sent to the Overland Park Police Department. The letter, dated March 12, came three days before the Star reported that Hill was under investigation for an alleged battery. The Chiefs said then that they were aware of the investigation. Diehards Line:Since then, Overland Park police, the Johnson County District Attorney’s Office and the Kansas Department for Children and Families have said they are investigating alleged incidents of battery and child abuse or neglect involving Hill at his home. Again, Hill has not been charged with a crime and has not commented publicly on the investigations. ... A copy of the letter from the NFL obtained by the Star showed it was sent by Dirk Taitt, who identified himself as an NFL security representative. The NFL declined to comment on the letter Wednesday. Citing the Kansas Open Records Act, the NFL asked the police department for reports related to “recent child abuse complaints involving the parents Crystal Espinal and Tyreek Hill as it relates to alleged injuries sustained by the couple’s minor child.” The request goes on to ask for “all reports” relevant to the case, including calls for service, photos, witness statements, police report narratives, medical records, video tapes, recordings of 911 calls and “any reports related to review findings” by the Johnson County District Attorney’s office. In the letter, Taitt wrote the NFL was “reviewing this incident to evaluate whether a violation of the NFL Personal Conduct Policy occurred related to a complaint or arrest involving an NFL employee, in this case, Mr. Hill. ...” The district attorney’s office said on Monday afternoon that the investigation involving Hill was still ongoing. The Facts: Perhaps no Texans player was under more scrutiny this offseason than Foreman following a disappointing, injury-plagued year. He has worked diligently this offseason to get in better shape and reported for the conditioning program down to a much leaner 230 pounds. “D'Onta, he’s come back in good shape," GM Brian Gaine said Thursday. Diehards Line: The former University of Texas consensus All-American's season was impacted heavily by a torn Achilles tendon suffered as a rookie and began last season on the physically unable to perform list. When he returned to action after being activated in December, Foreman clearly wasn't the same. He was clearly rusty and not in great football shape. Foreman returned against the Eagles and caught a touchdown pass. However, he rushed for minus-one yards on seven carries. ... But he's in position to get off to a faster start this year. "He had an unfortunate situation," Gaine explained. "Very difficult injury to return from as it relates to the running back position, so we’re pleased with his progress. It looks like he has put in the time and the commitment to be ready to go when we got here, got back here for the first day of the offseason program. I’ve been pleased with what I’ve seen, but there’s a lot of football left to be played, there’s a lot of offseason left to complete, but so far so good in terms of getting off on the right foot.” Prior to the injury, Foreman had shown enough that there was talk of him eventually replacing Pro Bowl running back Lamar Miller. Foreman rushed for 327 yards and two touchdowns as a rookie after being drafted in the third round. He'll be worth watching this summer. 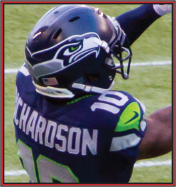 The Facts: As a member of the Seahawks, Richardson remembered how Richard Sherman and Doug Baldwin practiced every day despite their nagging injuries. They stayed late after practice, they didn’t complain, they remained ready for Sundays. In Washington, the speedy wide receiver had just signed a lucrative multi-year contract in March, brought in to be the team’s deep threat and to clear out opposing defenses, and the last thing he wanted to do was waste a year of Washington’s investment. But the adrenaline couldn’t keep the pain away. On Nov. 5, head coach Jay Gruden announced the team had placed Richardson on Injured Reserve, cutting his season short before the final stretch. Richardson said his clavicle had broken in a couple places, and he had a plate inserted during surgery. Diehards Line: Richardson played seven games, catching 20 passes for 262 yards and two touchdowns, impacted more through each contest by his shoulder. The training staff, he said, did everything to make him feel comfortable – adjusting his pads, getting him ready with treatment before games – but Richardson refused most of it, relying on his adrenaline to carry him through Sundays. “I’m wearing all this stuff that’s supposed to protect me and it’s stopping me from being me,” he said. “I’d rather be hurt and be able to put on a show than to be limited and almost get there or almost do it and know it’s because all of the stuff they have me doing.” The first couple of months of recovery were challenging. At times he felt depressed, as though deciding to get surgery was an insult to the organization. But the longer he kept playing in pain, he figured, the harder it would be to return to the team at full strength by the start of the 2019 season. “It was time, it was smart,” he admits. The Facts: Following up on a previous item. ... The 3-year-old son of Hill recently was removed from the custody of Hill and the boy’s mother, sources have told The Star. Diehards Line: That development comes a month after news surfaced that Overland Park police took two reports at Hill’s Johnson County home, one for battery and the other for child abuse and neglect. The police reports, dated March 5 and March 14, both involved a juvenile. It isn’t clear when the boy was removed, or who he is staying with now. Sources have told The Star in recent weeks that Hill and his fiancée, Crystal Espinal, have been working through a family court process called a “child in need of care” case. The couple were at the Johnson County courthouse Wednesday. Generally, child in need of care cases involve the Department for Children and Families and the county court in instances where there are concerns about a family situation. A judge and lawyers representing the parents and the child discuss and make decisions about the child’s safety and care. In some cases, it can result in a child being removed from a home. Earlier this week, when players —including Hill — reported for the first day of off-season workouts, HC Andy Reid said he had nothing further to say about the investigation involving Hill. ... We'll continue following along. The Facts: On Thursday, Gesicki acknowledged that he fell short of expectations as a rookie and revealed that he’s put on 13 pounds in order to provide a more physical presence. He said that hasn’t taken away from his overall athletic ability and leaves him in better position to succeed this time around. “I feel like I’m in much better shape than I was this time last year,” Gesicki said. “And I think that’s when I’ll be at my best, when I can play fast." Diehards Line:The Dolphins took Gesicki in the second round with the hope that he’d be a threat as a receiver while working to improve his blocking skills. Gesicki didn’t make too big of an impression on either front. He caught 22 passes for 202 yards and showed that there was a lot of room to improve as a blocker. As PFT notes, tight ends often have a hard time as rookies before taking a step forward in their second seasons. The Dolphins and Gesicki will head into the 2019 season hoping that’s how things will play out.